The podcast with strategies for creative, quirky, and extraordinary people of all ages. Diana Bader and Becky Berry accompany you on the adventure of living with unique brilliance. Whether or not you have an ADD, ADHD, Asperger's, or dyslexia, learn and share strategies from uniquely brilliant people and other experts in differences. 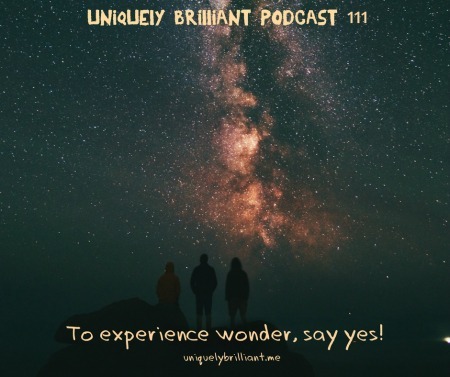 If you sense your ideas, dreams, and thoughts are just a little bit bigger than "normal," and you are tired of feeling lost, frustrated or just plain wrong, this podcast is for you! Learn how to squelch those voices in your head that say you're wrong because you think differently and learn how to reclaim your best self! Diana and Becky discuss their words for the year: Wonder and Steady and how they deploy the words to keep them on track. Expectation is the opposite of wonder because it pre-supposes an outcome. Wonder gives us the freedom to allow things to unfold. Having a framework for making decisions helps us capture the wonder in our lives. Some of us feel like we need rigid structure and miss out on wonder and the possibilities it offers. Wonder grows in a flexible structure. Expectations make our world smaller. Wonder can be a concrete thought or a sense. Expectations skew our perspective because when things don’t meet our expectations, we find ourselves automatically assuming they’re bad. Steady implies movement, where settle implies stuck. Our words-of-the-year help us stay focused and deflate the influence of expectations. Becky Berry and Diana Bader share their memories of people who have influenced them over the course of their lives and whose words and actions continue to influence them. Random and simple acts can have a big influence on our lives. We may never know how what we say or do for other people impacts their lives. A smile or words of gratitude can change another person’s day, week, year, or life. The people who taught us invaluable skills also opened doors to experiences we could not imagine at the time. The influencers who showed us new perspectives changed how we looked at the world. The people who believed in us and stood up for us when we couldn’t handle a situation by ourselves impacted our lives for a lifetime even if we don’t realize it at the time. Influencers aren’t voices in our heads giving us opinions and telling us what we “should” do. 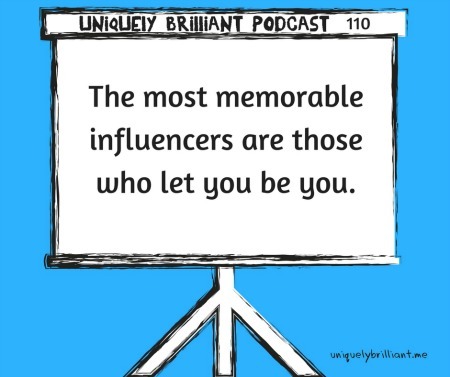 True influencers hold up a mirror that reflects our best selves back to us. They see who we really are, accept us, and show us how we can become a little bit more us.